Bats are our only winged mammal species here in North America which makes up the United States, Canada and Mexico. Bats are rarely seen because they are nocturnal and spend their roosting time with their bat colony which could be far away in a cave or mine somewhere , out back in the woods in the trees or not found living in the attic of a home. 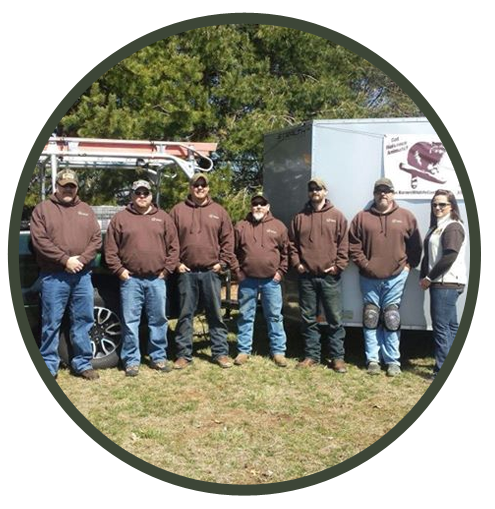 Most of the time we have always coexisted with bats so if you find out you have bats in your neighborhood does not mean they are a problem either. Bats are you around your homes because they either have daytime or nighttime roosts around your home or neighbor hood. If they are coming out of your sewers,trees and other non living areas its a good thing. If bats have invaded your living space or just your attic then bats need to go. Australia’s Flying foxes are intelligent and remarkable. These unique animals help regenerate forests and keep ecosystems healthy through pollination and seed dispersal. They are a migratory and nomadic ‘keystone’ species; meaning a species that many other species of plants and animals rely upon for their survival and well-being. Flying foxes, like bees, help drive biodiversity, and faced with the threat of climate change, land clearing, and other human-caused ecological pressures, we need them more than ever. I have never handled any creature that I found so interesting as the bats I have removed from structures and that usually is bats in attic. Growing up I was exposed to a lot children’ s literature that always made bats out as such evil critters. Bats are feared and hated in many parts of the world. Bats are very beneficial to us. We need them to balance out the insects we rely upon them to prey upon and all the nocturnal blooming plants they visit and pollinate nightly. Sadly the idea of bats being beneficial is met with disbelief by many find it hard to accept even in 2012. The abnormal fear of bats can put some folks into a panic with the mere flap of a leathery wing. Bats probably got their bad name because they are mostly active a night and the night has always been associated by earlier societies as a source of fear alone. Bat phobia is present even in today’s society bats won’t fly into your hair by the way and we have no vampire bats , werewolves, Dracula or vampires native to the United States and Canada either. As early as the 16th century, there were reports of bats that drank blood, but the exact identities of these animals were not confirmed for another 200 years. As a race we tend to fear what we do not understand and since bats are rarely seen sadly they will become victimized needlessly. Bats are also thought as ” flying mice ” when truthfully they are more closely related to primates then they are to any rodent especially a mouse. The Germans probably had a lot ot do with this misconception by calling a bat a ” fledermaus ” which literally translates in English as a flying mouse. Bats are not always portrayed as evil in world mythologies. Eastern folklore from the Orient have an entirely different opinion of bats Chinese folklore always showed the bat as a symbol of good luck and good fortune and the Chinese word for bat is ” bianfu ” ! Five bats are often pictured together to represent a long life, wealth, good health, love of virtue and a natural death. Cao Zhi, a noted poet of the Three Kingdoms Period (220-280), wrote a poem entitled “About the Bat”, which reads: “The bat is born of an evil spirit, shunned by beasts and rejected by birds.” In one of Aesop’s Fables, during a war between birds and beasts the bat is portrayed as “two-faced,” ready to ally itself with whichever of the two species became the victor. When the two entities eventually reached a peace agreement, the bat was despised and rejected by both, causing it to hide by day, coming out only at night. It was not until modern times it became common knowledge that the bat is neither a magic vampire nor knightly, but merely a mammal that can fly. Its echolocation, rather than its eyes, help it to navigate safely at night, and gave credence to the phrase “blind as a bat”. After thousands of years of being detested and feared by humankind, a few centuries ago bats experienced a positive change in overall attitude towards them. The Chinese word for bat is bianfu — fu being a homophone for happiness. By the middle and late Qing Dynasty (1644-1911,) favorable bat motifs had had become widely used on architecture, textiles, embroidery, paintings, chinaware, furniture, and brick and stone carvings as symbols of happiness. Thanks to artistic license, they were generally given a far more attractive appearance than is true in real life. My own experiences with bats is I found all bats to be remarkably gentle creatures that sadly are given a bad rap by since the earliest days of Western European History that eat a large volume of insects with each night flight and estimated to be about 8000 insects including mosquitoes, moths. Some bat species are also recognized as native pollinators and our a vital part of our ecosystems. If you find an injured bat please do not touch this bat.First of all there is a reason why you found a bat in the first place. Bats fly and are rarely seen unles they have a wildlife disease or are injured. Please call your local DNR or local wildlife commission and ask them to help you solve this bats problem . Please don’t pick up any bat . If you must handle them wear disposable medical gloves under a pair of heavy duty leather gloves. Anytime you handle a bat you should be gloved and wearing the right personal protective equipment when handling bats 1. Healthy bats can be handled with any good leather protective glove as minimum protection. Heavy duty leather gloves should be able to protect most if not everyone from any bat bite and help protect you from any wildlife disease such as Bat Rabies. Insectivorous bats feed primarily on night-ﬂying insects such as moths, beetles, fruit ﬂies, mosquitoes, mayﬂies, caddis ﬂies, and midges. Frugivorous and nectivorous bats eat fruit, pollen, or nectar from plants or ﬂowers. Bananas, mangoes, dates, figs, peaches, cashews, guava, avocados and agaves (Tequila) all have nocturnal blossoms and rely on local bat species to pollinate them during their night flights. Most plant life in the desert is very dependent upon bat pollination for survival. Sadly over 40 percent of all species found here in North America are either endangered or in decline. The primary reason for the decline in bats is loss of roosting habitat and the degradation of desert habitats in the South Western United States and Mexico. The loss of roosting habitat is due to cave and mine closure, vandalism and intentional habitat destruction, development and deforestation, and the removal of live trees, snags, and hedgerows from agricultural ﬁelds, farmlands, and other rural landscapes. The biggest disease in the headlines today is White Nose Syndrome and the millions of bats that have fallen dead since its discovery near the Adirondacks in New York in 2006. This species is affecting our myotis bats species and sadly we may today be th last geration to have ever witnessed a Little Brown bat, Northern Myotos andother myotis bat species found here . To learn more about White Nose Syndrome please visit White-Nose-Syndrome.Org. You can also stay up to date and learn more about this devastating disease to our bat populations here in North America by visiting white nose syndrome nwco task force page on Facebook. Less then 5 percent and I believe the number is actually even smaller have rabies. Any direct contact with bats including sleeping in the same room with a bat found in it. Any concern please call your local County or Province Heath Department. 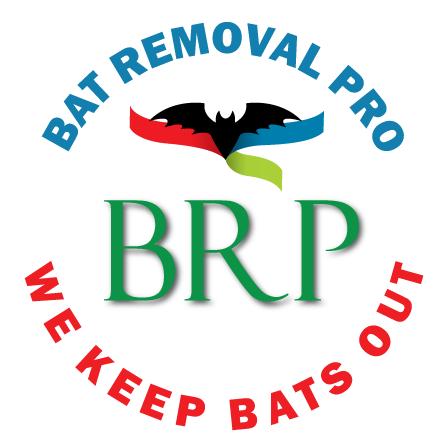 We offer this as a public service and recommend this be done by a Bat Removal Pro professionals in the US or Canada depending on where you live. Wear protective clothing. Report this incidence to your county health department for better guidance. Please take care not to lose the bat and secure it for rabies testing. I have included a video of the proper procedure to remove a bat in your home that was done by the late Kirk Lapierre. Bats are found in lighted, residential areas in where populations of insects and can consumer over 8000 insects with each night flight and many are also night pollinators.